There are six sleeps to go ‘til Christmas. This is the last Sunday before the big day; the last Sunday before a very intense week of shopping, cooking, baking, meeting people and stressing. I am sure we all still have some sort of preparation to do. I know I have very long check-list to tick for a dinner party tomorrow. The kids need their presents. One distant relative told you that she’s got a nicely wrapped gift for you and now you have little time to find something for her before she gets here. Some of you will hit the supermarkets this afternoon in order to buy enough food to survive a minor nuclear holocaust or feed the local TA Unit. Anything which is not on our tight schedule or check-list might be regarded as a spanner in the works.Well, the Church knows this and she gives us another few days to make everything ready for Christmas. However, forget the supermarket bargains and the glitzy presents, the preparation which we need is a spiritual one. In the last three weeks we have heard of the faithfulness of the Patriarchs, of the endurance of the Prophets and about the courage of John the Baptist. Today we hear about two very special, but seemingly very unlikely characters in the story of our Salvation; a very young woman (only a little girl by today’s standards) and her fiancée, a Jewish carpenter from a fallen royal lineage. Characters such as these are Mary and Joseph. Traditionally this Sunday is set aside to contemplate on the figure of the Blessed Virgin Mary, but today’s reading from Matthew’s gospel bring into the picture her fiancée Joseph as well, as he wrestles with many different feelings about Mary’s pregnancy. So let’s start with him. The majority of Christian iconography depicts Joseph as an old man; this is perhaps due to the description of him found in today’s reading. He is righteous man. Being righteous means to follow God’s commandments; to be obedient to His will. Not many people in Scripture are described in this way. It is as much a gift from God which enables a virtuous life as it is the constant applying oneself to God’s word. Becoming truly righteous takes a lot of time and a relentless practice of virtues; this is probably the reasons behind all those pictures where Joseph looks even too old for marriage. At the beginning of our reading Joseph is torn between the decisions he has to take concerning Mary and his upcoming wedding. On the one hand, he could denounce her in front of the elders and let her be stoned to death because she must have committed adultery. On the other hand, he could dismiss Mary quietly with a note of divorce – which applied also for fiancées – and let her parents deal with her. Both of these possibilities are available to him under the Law of Moses. In any case, he would be able to burn bridges with her and her family and look forward to a new start in his life. Let’s think about how he must have felt. All the planning and preparation for his big day had been ruined or drastically altered. His fiancée was now talking about meeting angels and having a child from the Holy Spirit; and not any child, but Joshua, the Saviour of Israel. Moreover, many prophecies which had been buried in traditional folklore for centuries now seemed to come back to life and haunt him. However, it is because of righteousness that Joseph also heeds to the words of God’s messenger. Yes, he was a righteous man and because of this he initially took pity on Mary and didn’t want her to be shamed in front of the community and be killed; but his righteousness prompts him also at a deeper level to do what God had commanded him, which is to disregard his fears, his anger and anything which he originally had planned for his marriage. God calls him to be Mary’s husband and to be the father figure, the guarding, for His only begotten Son. More simply, God calls him. This passage illustrates the vocation of Joseph, where he – like many other figures in Scripture – was busy preparing and planning for other things; and where God came in to change his life forever, leading him to do His will. Today, Matthew doesn’t tell us much about her. Unlike Luke, Matthew doesn’t report explicitly the vocation of the Virgin Mary; however, he leaves out clues about her and her status. In the first chapter of his gospel, Matthew writes up the genealogy of Jesus, beginning from Abraham. Unfortunately a long list of name it’s deemed boring by the compiler of the lectionary so all these have been left out of today’s passage. The genealogy it’s an all male affair apart from four women which the evangelist seems to introduce with some sort of purpose. All these had their lives transformed by God’s intervention. Even in the most dramatic case, the wife of Uriah, God managed to achieve something good out of their sorrow which had devastated their lives. Similarly, Mary presumed to have broken the engagement promises is put on the margin of her community, until the truth about her pregnancy is revealed to Joseph. Mary was probably a young girl, whose hand had been promised in marriage to Joseph when she was barely a teenager. We can imagine that all the planning and preparation she did in her youth revolved around marrying her fiancée and setting up home with him. However, her plans too are altered as her calling meant enduring suffering and forsaking the plans for her own life. 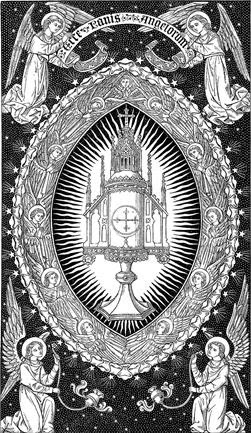 Mary is the one who has found favour with God (cf. Luke 1:30); she’s the one who was ready to heed God’s calling and to give herself fully to God. Her “yes”, more powerful than other “yes” found in Scripture, enabled Salvation to move forward, to move closer to us than ever before. 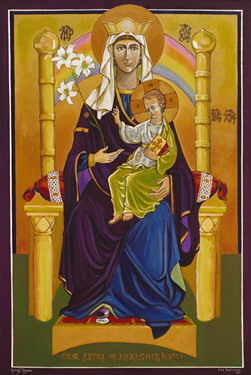 Through her the power of God is revealed to humanity; not only the power which enables a virgin to bear a son but also the power of God’s wisdom. Mary is chosen by God and yet one among the most powerless people in her society: she was young in world which valued age; female in a world ruled by men; poor in a stratified economy. Moreover, she had neither husband nor a child in a world where single women needed a male relation to validate their existence (cf. L.T. Johnson, The Gospel of Luke, 1990). Yet the wisdom of God is revealed in her; in this little maiden of Nazareth. We live in a society which is plagued by attention deficiency. We seem all too busy in pursuing our own dreams and challenges that we risk to marginalise God, His Word and the Sacraments because they do not fit in our schedule. I know I did that and I tried to put off seminary for many years. Offering myself for ordination was not part of my plans as it involved becoming powerless and wait upon God and his Church to decide about my future. Mary and Joseph offer us an outstanding example of discipleship. As soon as they realise that God is calling them, they do his will forsaking what plans they might have had and what society might have said. The cost of their discipleship is great but their reward is beyond understanding as they become the parents of Jesus; of that child who coming into the world calls, with the voice of His Father, each one of us to become His disciple. The lives of the Blessed Virgin Mary and Joseph were open to God through righteousness and divine gift and so they were ready to answer His call and to welcome Him. I hope and pray that we will all be able to hear our specific call from God this Christmas even if this could mean amending all our plans and dreams. God calls us. Let us welcome him in our lives!